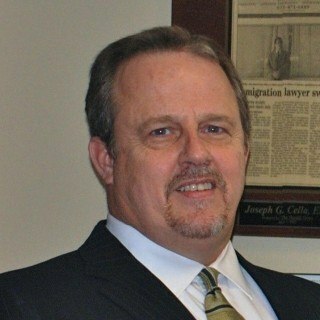 Joseph G. Cella, Esq., has been professionally involved in Immigration Law since 1989, practicing as an Immigration Attorney since 1993. His Immigration Cases have been the subject of articles in many publications including The Herald News, and he has been published in the New Jersey Law Journal. Mr. Cella has given numerous lectures on various topics within the area of Immigration Law, and has taught various political and legal courses at New Jersey’s William Paterson University, including a Masters Degree Course in Political Asylum and International Human Rights Law. Mr. Cella is the founder of Cella & Associates, LLC, US Immigration Attorneys with offices in Clifton and Fort Lee, New Jersey, and Aventura, Florida. Activities: Attendance and participation is seminars and chapter meetings. Some matters are billed as a flat rate, while removal/deportation defense matters are billed hourly.